Holland & Barrett has been selling CBD oil since the start of 2018 and the retailer has reported stable and growing sales of the format. Love Hemp Water, a functional spring water infused with cannabidiol (CBD), launched in Holland & Barrett stores last month. Could this be a sign that the ingredient is here to diversify the drinks market in the UK? Holland & Barrett has been selling CBD oil since the start of 2018 and the retailer has reported stable and growing sales of the format. A rise in the consumption of the cannabis-derived ingredient was confirmed by the Cannabis Trades Association UK, according to which the number of people using CBD oil in Britain has rocketed 100% from 125,000 to 250,000 in the past 12 months. CBD is not psychoactive (as opposed to tetrahydrocannabinol, or THC, the most active ingredient in marijuana and the chemical responsible for causing the marijuana high). However, it produces significant changes in the body and has been found to have medical benefits. Benefits of CBD oil are widely documented: it is said to be a natural pain relief with anti-inflammatory properties, and research has focused around relieving symptoms of epilepsy and mental health disorders such as anxiety. University researchers have posted to the British Journal of Clinical Pharmacology about use of CBD in fighting cancer. Holland & Barrett decided to venture into the CBD water segment and launch the first such product in mass retail in the UK. Each 500ml bottle of Love Hemp contains 2mg of natural hemp extract, which is naturally high in CBD. The drink format of health-enhancing ingredients will see uptake in near future, on the ground of convenience and value-for-money. Love Hemp is ready for consumption and resembles a standard bottled water product; it contains a safe level of CBD and is reasonably priced at £0.99. These practical reasons aside, there seems to be a growing preference to the drink format in regards to health-enhancing ingredients consumption. GlobalData’s 2017 Q4 global consumer survey found out that 37% of UK consumers prefer the drink format, rising to 58% for 25 to 34 years old males in particular. The possibility to target millennials was sensed by Cloud 9 Brewing, a craft beer producer in the UK. It has recently launched its High Flyer Session IPA with Cannabis Oil Extract, marketed as offering ‘blissfully elevated drinking experience’ and containing 0% THC. A 330ml bottle contains 10mg of CBD extract, obtained from organic Cannabis Sativa. CBD is not considered a controlled substance in the UK and is therefore 100% legal – as opposed to psychoactive chemical THC. 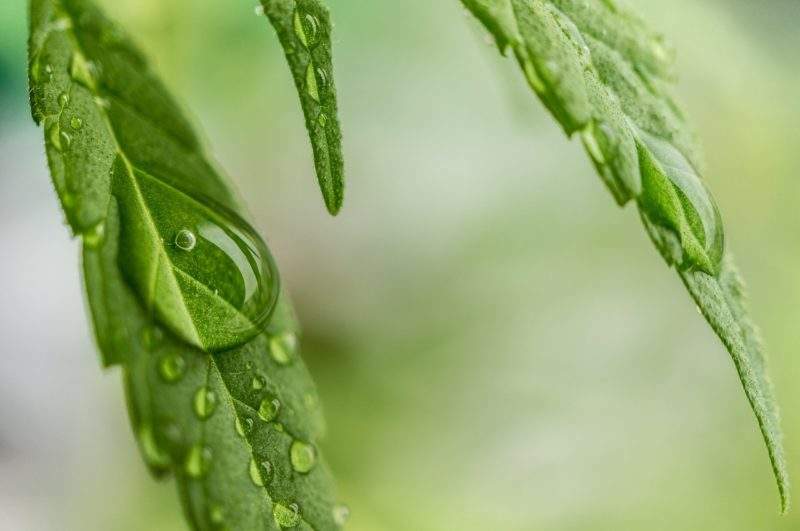 As CBD is non-psychoactive and there is a widespread belief in its medical value, it will keep rising in popularity, especially among consumers, who look to achieve relaxation while remaining sober.